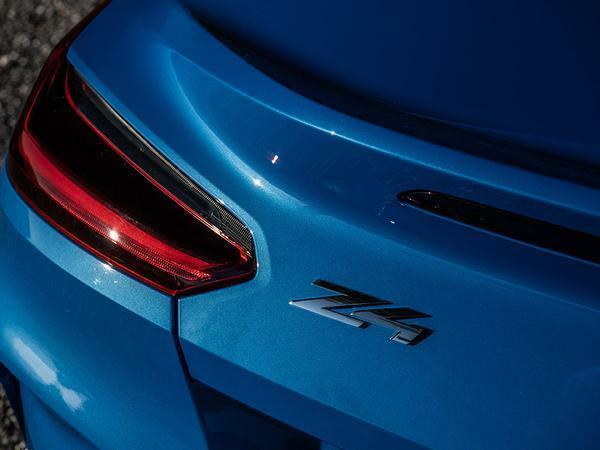 Yes, we know, the design of BMW's new Z4 isn't to everyone's taste. But the specifications of the drop-top ought to appeal to a far wider audience. Compared to its two predecessors, there's a heightened focus on handling and agility centred around much stiffer CLAR underpinnings. 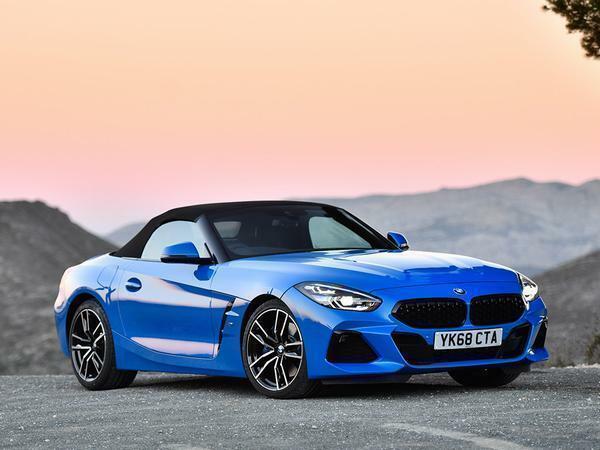 BMW is so confident that its execs have suggested you might even buy a Z4 for its performance, rather than just because you want something softer and more comfortable than a Porsche Boxster. Which has traditionally been the case since, well, forever. The entry-level 20i, a car priced from £36,990 in Britain, does not duck these aspirations either, despite featuring a turbocharged 2.0-litre with a rather plain 197hp and 236lb ft of torque. You only need notice the four-cylinder car's use of Michelin Pilot Super Sports (is this the least powerful car on sale with such serious rubber?) and consider BMW's emphasis on a lowered centre of gravity and kerb weight (it's now 1,405kg) to sense the optimism. Then there's the promise of 50:50 weight distribution and a pair of considerably wider tracks (the fronts, for example, are set 98mm further apart than before). On paper, then, the 20i has several notable things going for it, and things look better in the metal, too. Honestly. The new face sort of works in real life because the proportions - that traditionally long bonnet and hunched rear-end - are more obvious than they are in the pictures and give the car real presence. 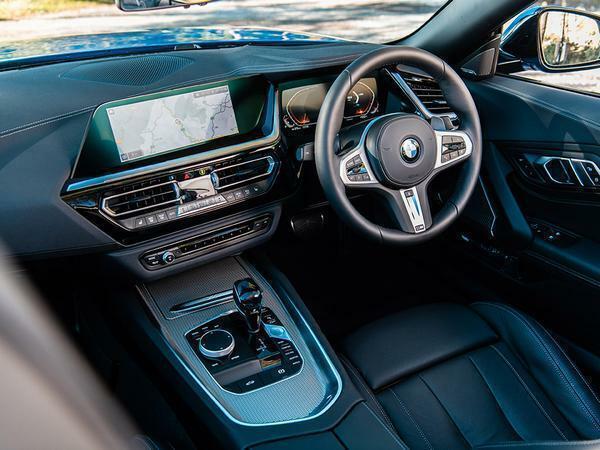 Unsurprisingly, the interior represents a big step forward as well, especially in terms of what you get anyway, as BMW's latest infotainment and digital instrument cluster now dominate the dash. It doesn't look particularly sporting, though, not until you peel the electrically-operated fabric roof back, anyway. That takes ten seconds, if you're wondering. 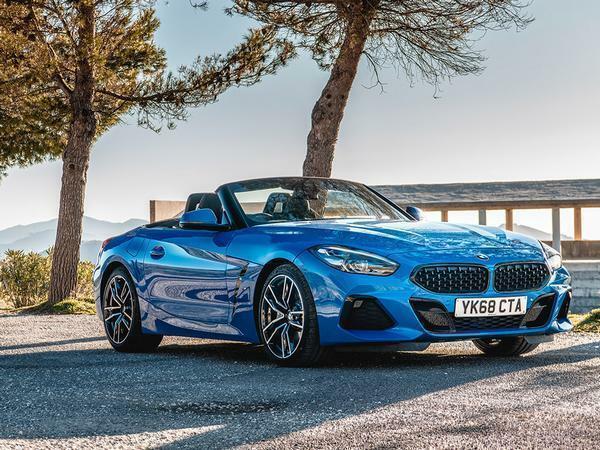 Our first drive of the Z4 20i is in a UK-spec production car, although we're on the smooth, sun-baked tarmac of Marbella, not Maidstone. With the challenge unremarkable, the 20i rides comfortably, delivering the kind of structural sturdiness which has obviously paid off in the spring and damper settings. If the fabric above weren't visible, you could easily be fooled into thinking the top contributes to the rigidity. 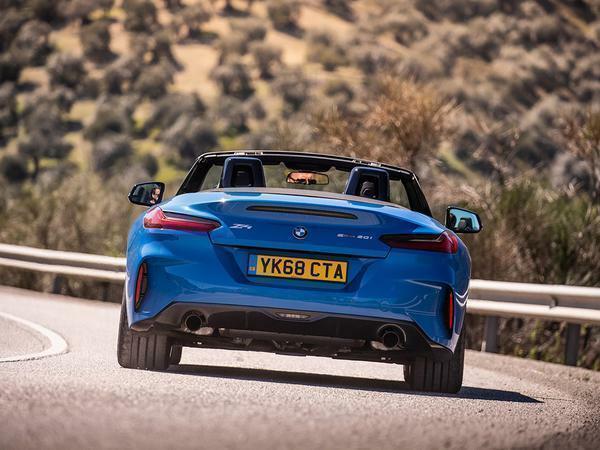 Road noise is low with the roof up, too, so the Z4's ambience feels closer to a grand tourer than roadster. Even with the top fully retracted, the rear wind guard does a good job of limiting air flow around your head so at motorway pace you can still talk without raising your voice. It's impressive stuff. We start in the default comfort mode, where the engine does a just about good enough impression of something more powerful, remaining fairly hushed but with peak torque arriving from just 1,450rpm. Ask more of it, however, and the constraints of the base model become clear. 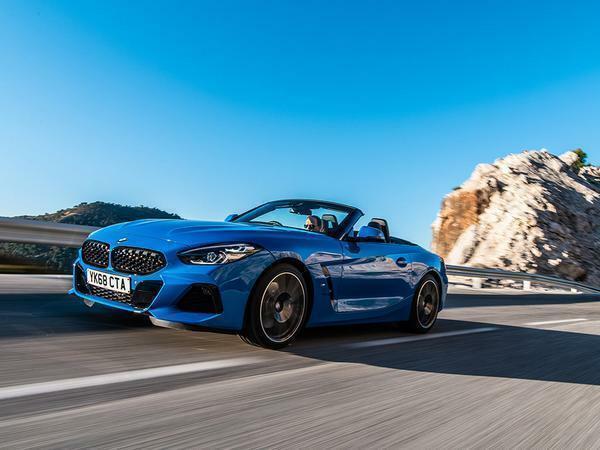 Switch to sport mode and the twin-exit exhaust system turns boomy at steady pace and droney higher up, while the engine - which admittedly pulls smoothly - never really excites, offering too little reward for revving towards the redline. 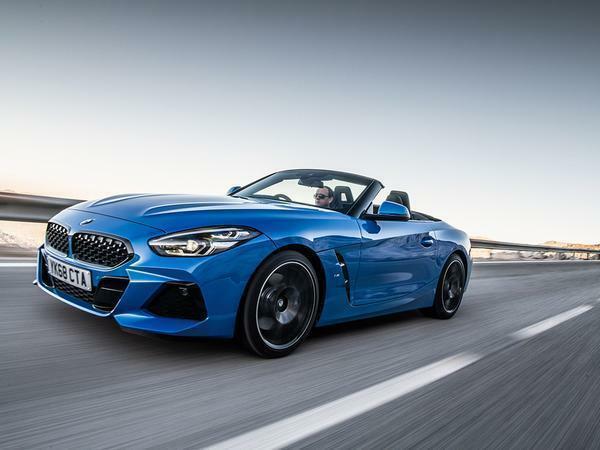 The eight-speed automatic also feels uninterested in quick driving; it changes cogs swiftly enough, but there's too much of a hesitation between pulling the paddle and actuation, with nothing in the way of drama or athleticism. Which seems odd, because the eight-speed auto in the 320d we drove the other day did a far better sports impression. 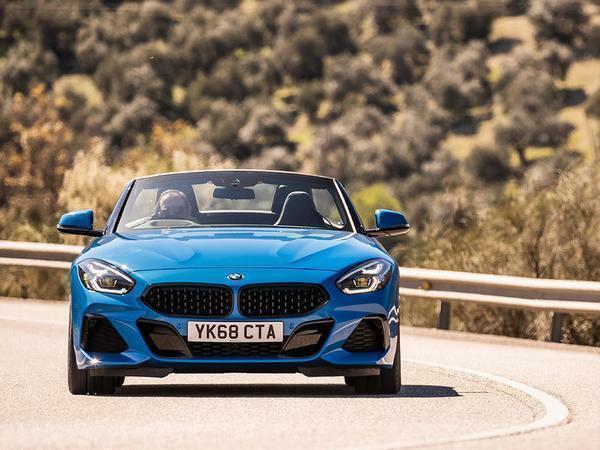 Conversely, the chassis feels eminently capable, with very little body roll in our M Sport suspension-equipped car (with standard-fit passive damping rather than optional adjustable). 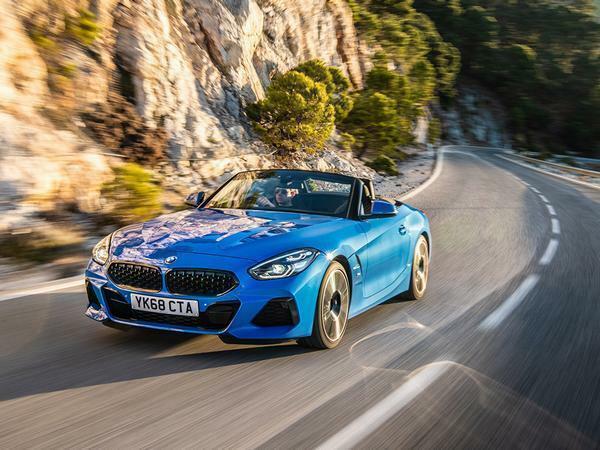 In fact, the car responds very willingly to steering inputs and makes placing such a large roadster exactly where you want it on a mountain route feel like second nature. The steering ultimately lacks feel, but its quickness and the front-end's unbreakable bite provide you with immense confidence. It means that maintaining pace along a technical Spanish route tends to be limited by your commitment (read: bravery), rather than the car's actual ability. Expect that pace - on a dry, well-sighted surface at least - to feel high. Whether the chassis' ultra-high bar and the engine's comparative lack of grunt would mean the quite same on a narrower, hedgerow-strewn UK B-road, seems doubtful. We'll have to wait until a 20i is tested here, but it seems unlikely to be able to offer its driver the dynamism and engagement of the obviously more focussed Boxster. A 2.0 MX-5 - which, we should add, is a tenth quicker to 62mph - feels downright playful in comparison. It's possible, of course, that we're asking a little too much of the base model. It would be perfectly reasonable - and probably historically accurate - to assume that those with a 20i in mind are looking for a comfortable, nicely-finished roadster that's easy to use and secure on a road (i.e. the traits that have long appealed to buyers of four-pot Audi TT Roadsters). 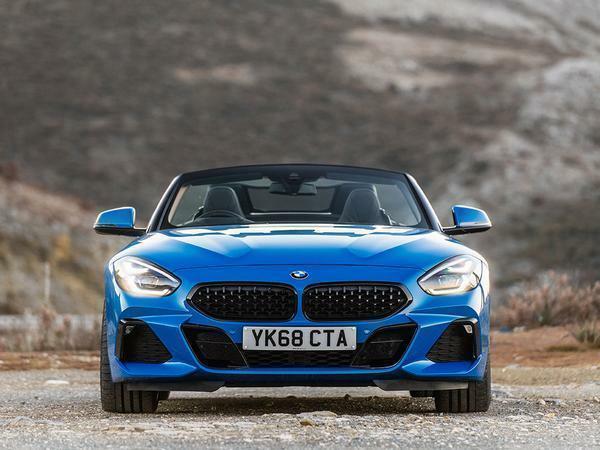 To its credit, BMW hasn't delivered a car that's uncomfortable with the prospect of being driven enthusiastically - quite the opposite, in fact - but the 20i never feels precisely 'fun' either. For that, you'll be needing either the 258hp 30i or 340hp M40i. More on those tomorrow. 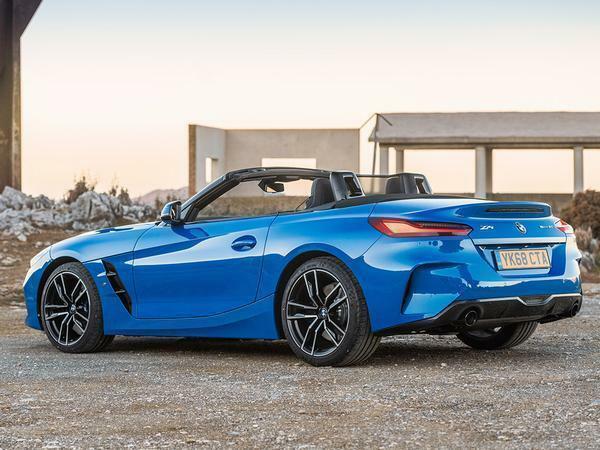 I can’t help but think it’s still too pricy to appeal to the Z4’s target market - an MX-5 gives you much the same experience for a lot less cash. But good looking? Not so much. Which is a bloody shame because spec/price wise this seems like a great recipe. I saw one out on the road on Monday. It looks great. Wouldn't fancy a 20i personally. I’m staggered how a car company can release a car after so much investment and journalists say it’s s t. I can only assume the car companies know their customers don’t know good from bad. I like the looks though. second 0-60, at which point it’ll look good and go quick. So view it as a GT and it makes sense. I drove one of these last week. I didn't think 200bhp could ever be considered slow until that drive. But that 0-60 time is semi respectable, so maybe it was just the lack of engine drama and auto box that just made the car feel slow. Otherwise it was a nice package but in no way fun. Really like that. Suspect the car in the photos costs a lot more than 37 grand though. They probably know what their customers want and disregard the opinions of journalists. I would. Besides, when did you last read a properly coruscating official review? It doesn't happen. The worst you'd get now is something only mildly priapic. So yet another Z-car that doesn't deliver on the driving experience. 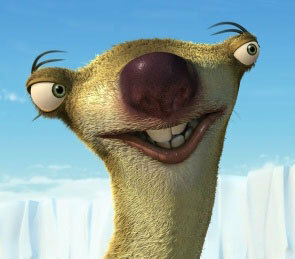 That front end..... did they model it on Sid, from Ice Age??? Look forward to seeing one on the road. The front side angle looks bloody good and proper proportions. That will always be the case sadly, and I've always found it baffling that BMW always hit the mark with their sports saloons...yet they can't build a decent (so called) sports car for toffee. This hits the jackpot though by failing to deliver on the driving experience and also managing to be terrible to look at(from photos anyway). Nice to sit in plenty of room ,like blue colour seems colour is key as not beautiful design missed opportunity tbh. Saw one at GIMS and just could not get past the frontal treatment design wise. The headlight positioning is unforgivable in my opinion. The interior whilst smart and high quality does nothing to excite or tell you that you're in BMW's sports car rather than their humdrum 3-Series. You would be far better buying a used 2.0 litre F-Type for thrills at this money or a used 981 Boxster. Agree and the 0 to 60 doesn't look too bad but I think it could be the weight of it. My Cooper S has very similar power/torque figures to this but is 200kg lighter. The Mini is far from a rocket ship, but I certainly wouldn't want another 200kg to drag around with only 200bhp. In the past the weaker 4 cylinder BMW models were more fun in corners than the more powerful nose heavy cars. Hopefully this hasn’t changed. Less than 200bhp from a 2l turbo seems a bit old fashioned though! Also, I still think the proportions are disappointing. I saw one in the flesh the other week (same colour) and I thought that it looked much better in the flesh than it did in photos. The interior is a big step up from recent BM's. The entry level jobbie is bloody pricey though. The first Z4 looked good when it was released and still looks good (to my eyes anyway). Seen two in the metal one a base one like this in purple and an M40i one in black. Definitely a lovely thing and made me want one a lot in regards to the M40i. 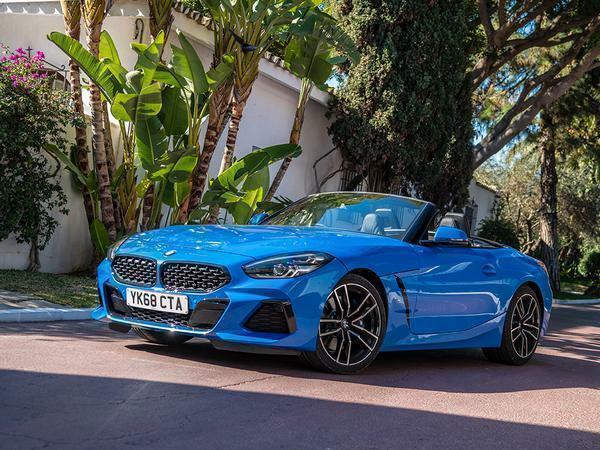 At the moment there is minimal discounts on them, but give a little time I suspect the discount levels will increase dramatically (in comparison with the other recent new models and LCI's there is only tiny discounts on the Z4, 5% off the new 3 series, 9% of the 8 series, not sure about the new X5 or 7 LCI).